Tag Archives for " Rae Hoffman-Dolan "
Here are your guest contributors for Wednesday’s edition of the Duct Tape Marketing Small Business Week iPad Giveaway. Jason Falls is a social media strategist, thinker, speaker and educator. SocialMediaExplorer.com is owned, co-authored and edited by Jason. He also offers a question-and-answer and learning community at ExploringSocialMedia.com. Social Media Explorer is also the name of Falls’s consulting company which focuses on strategic counsel for medium and large companies in the realm of social media marketing, digital marketing, online communications and public relations. Lee Odden is the CEO of TopRank Online Marketing, a digital marketing agency specializing in strategic internet marketing consulting, training and implementation services including: Content, Search, Email and Social Media Marketing. As an active thought leader in the search marketing industry, he’s contributed to top industry publications such as Mashable, iMedia Connection and Yahoo Search Marketing Blog along with publishing TopRank’s Online Marketing Blog. Web and TV personality. Bestselling author. International Speaker. Award winning CEO of The Marketing Zen Group – a global digital marketing firm. Shama is a bestselling author with her book –The Zen of Social Media Marketing: An Easier Way to Build Credibility, Generate Buzz, and Increase Revenue. When not working directly with her clients or shooting her show, Shama travels the world speaking on business, entrepreneurship, and technology. Lisa Barone is Co-Founder and Chief Branding Officer of Outspoken Media, Inc and writes for the Outspoken Media Blog. She has been involved in the SEO community since 2006 and is widely known for her honest industry observations, her inability to not say exactly what she’s thinking, and her excessive on-the-clock twittering at @lisabarone. Rae is the Principal of Sugarrae SEO Consulting and does various types of Internet marketing; search engine optimization, viral marketing, affiliate marketing, site auditing, link development road maps and tons of other little nooks and crannies of this business. She is also the co-founder, co-owner and CEO of MFE Interactive in addition to being the co-owner and SVP of Marketing for Speedy Incorporation. 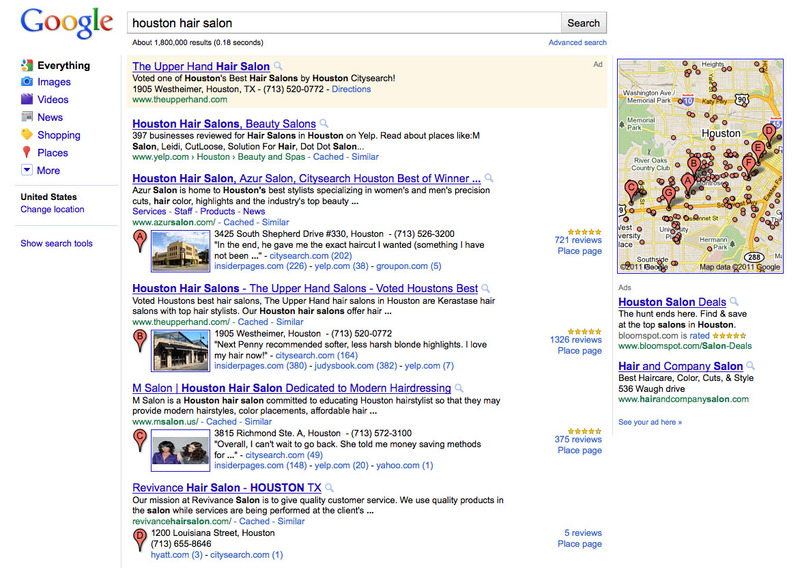 So the question becomes, how do you GET people to leave the reviews needed to rank well in Google for your local terms? 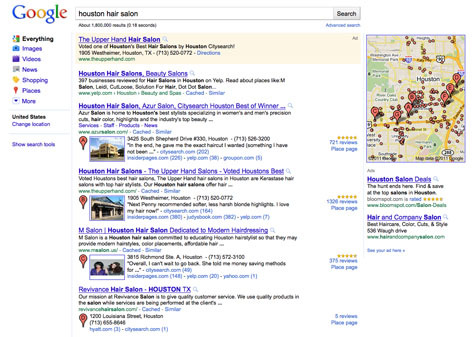 Create a “review page” on your website that links to all of your listing pages that you see being used in the reviews of your Places listing. Explain how you love providing great service and encourage customers to review your service. Congratulations! You’ve taken the first step towards dominating the internet. You have a website that is well-designed, well-functioning, and most importantly well converting. (Correct?) Now, let’s look at 3 things that you can do to continue to market online. 1) Create Compelling Content. There is a lot of noise on the internet. Don’t add to it. That being said, people still turn to the web to research, learn, and buy. It used to be that the loudest merchant in the bazaar won. Today, it’s the merchant that provides the most value and really takes the time to educate the consumers. Don’t let your website sit idle. Continue to create and post content that will provide value to your visitors. 2) Keep in Touch with ALL Visitors. Well, almost all. If you’ve ever watched the classic “You’ve Got Mail!” with Tom Hanks and Meg Ryan, then you remember the excitement on their faces each time AOL announced “You’ve got mail!” There can never be a remake of the movie. Why? Because no one is that excited to get email today. Not you, not me, and you guessed it…not your customers. That isn’t to say that email marketing is no longer efficient. But, that you need to give your visitors and prospects options. Perhaps they can join your email list. But, can they also like your page on Facebook? How about follow you on Twitter? Or, subscribe to your blog? Once someone lands on your website, make sure that they have plenty of ways to keep in touch with you. And, most importantly, you with them. 3) Leverage people as the media. Also known as social media. Every single customer or client has the potential of becoming a champion or a critic. And, you have the power to sway them. Use websites like Facebook, Twitter, and LinkedIn to build a community around your audience. Your website is a crucial piece of the web marketing puzzle. But, it is just the start!